First of all, I want to wish Happy Easter for all of you who are celebrating. I hope you spent it nicely, with your family and loved ones. I also hope you have a bit of time to check out on this weekly recap. The week started as usual, with an 'ordinary' release, this time in Pretty'n'Love store. The collection consists mostly of pastel, spring colors. I love dresses and skirts, and starcoin items are pretty and quite wearable. I also love the pink jacket. An average collection. On Tuesday, Stardoll launched an Easter Surprise campaign. 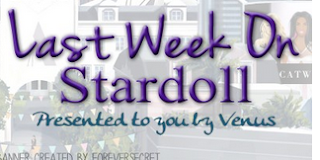 Now we have(had) the chance to get some nice gifts by locating Easter eggs hidden somewhere on Stardoll. There is also that fantastic offer where you'd get this gorgeous pose in 3 different colors. That was a deal breaker for me, and influenced me to finally renew my royalty membership. One of the main reasons being items won't be able to be sold in bazaar later, and I really, really loved them. Yeah, there is also a contest to design a perfect Easter egg and a new party room for superstar members. I am loving the campaign, as you could have guessed. 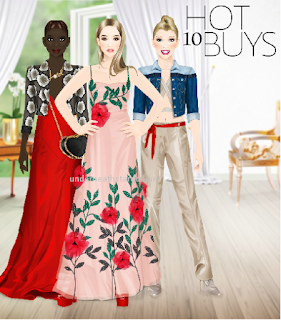 On Wednesday, Stardoll announced HotBuys for upcoming month. I am not sure about these. I love some, not so much others. My favorite is definitely that black bag, and the red dress. Anyway, I am looking forward to the release and I am pretty sure I'd be buying some. The title says it all - items are meant for spring, and they are some key pieces to be used in our outfits for this season. I was hoping for more pastel colors, and some other items, as, no offense, but I am not a huge fan of the collection. Sure, there are some pieces I like, but they could have released so much better items. And on Friday, Stardoll released new collection in Voile, named 'Spring Couture'. Spring again, I know. I love Voile, because I love long, formal gowns, and I love pastel colors, so this collection is perfect for me. Seriously, so many fantastic pieces, some ok pieces, and very few 'no way' items. My favorite is the Powder Blue gown, and I am also loving Fantasy Florals dress. So I hope you enjoyed this week, I am having high hopes for the next one, but until then, vote, comment, and see you at the same place and (probably) the same time.